UPDATED: The Best of Father’s Day Gift Ideas! Father’s Day is right around the corner, and California Life wants to help you find the perfect present for that special dad in your life! Give Dad the gift of style with a new look from SWIMS’ Spring/Summer 2015 collection. You may know SWIMS for its innovative loafers and functional summer classics. But now, SWIMS also offers shoes, swim shorts, piques, windbreakers, jackets and accessories. If your dad enjoys the theatre, season tickets to Broadway/San Diego’s 2015-2016 Season are the gift that keeps on giving. 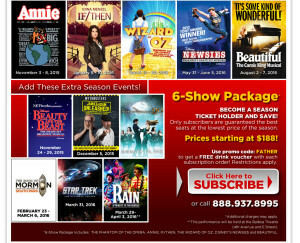 Choose from several 6-show packages, featuring such Broadway hits as The Phantom of the Opera, Annie, If/Then (starring Idina Menzel), The Wizard of Oz, Disney’s Newsies & Beautiful: The Carole King Musical. Ticket packages start at $188. Use promo code “FATHER” to get a free drink voucher with each subscription order. Restrictions apply. 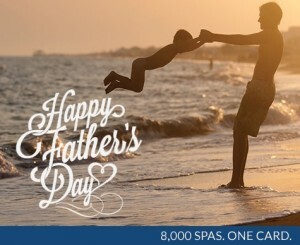 Give your dad the gift of relaxation, with The Spa & Wellness Gift Card. Right now, you can get a $50 gift card good at thousands of spas nationwide for just $39.99! Go to www.spaweek.com and enter the promo code “DG15” at checkout. This offer expires June 20, 2015 at 11:59pm. These cool gift ideas from (RED) also help save lives. Items are available at all price points, and a portion of the purchase price from each goes toward the Global Fund to fight AIDS. 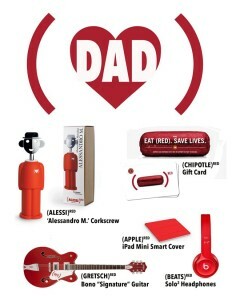 To learn more about each item and for more (RED)-hot ideas for Dad, go to www.red.org. 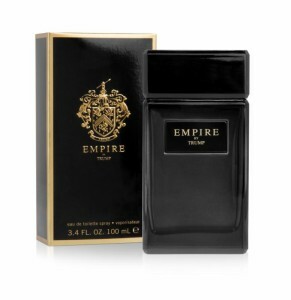 Our next featured item is perfect for the dad building an empire of his own ~ Empire by Trump. This new fragrance collection for men by Donald Trump is now available exclusively at Macy’s nationwide and includes 1.7 fl oz. and 3.4 fl oz. fragrances, and a deodorant stick. Retail prices range from $14 to $62.